Here is a map shows territory of Kazakhstan, of Mongolia, of Russia. You can find here city Kyzyl presented. On this map city Hovd download for free. On this map city Ulaangom marked. 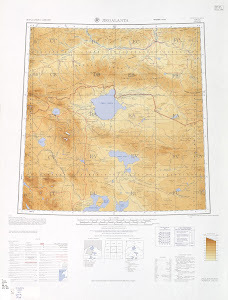 On this map town Ak-Dovurak free download. town Shagonar download for free. On this map town Kaa-Khem download for free. On this map town Chadan for Garmin. You can find here town Kyzyl-Mazhalyk marked. town Saryg-Sep free download. On this map town Mugur-Aksy free download. On this map town Teeli for Garmin. Displayed town Khovu-Aksy free download. You can find here town Sukpak presented. town Samagaltay download for free. Displayed town Balgazyn presented. town Khandagayty marked. You can find here town Bay-Khaak marked.